If there’s one thing 50 Cent knows, it is how to get to the bag. 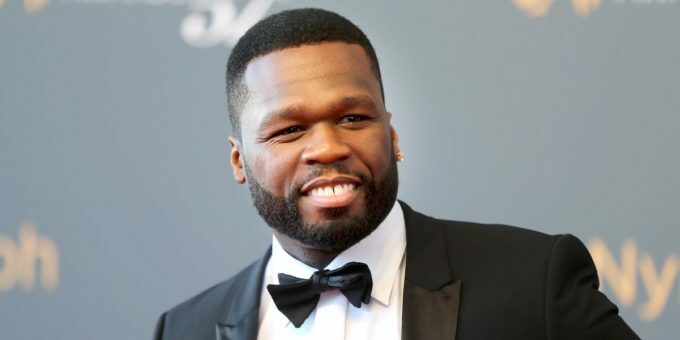 50 has signed a new overall deal with Starz for a reported $150 million. Curtis “50 Cent” Jackson, who stars in and exec produces the hit crime drama POWER, has signed a rich new overall deal with the premium cabler. Under the four-year pact worth an estimated $150 million, 50 will continue to develop new scripted and unscripted projects exclusively for Starz through his G-Unit Film & Television, Inc., reports Variety. The deal includes a three-series commitment with the party and the addition of a dedicated development executive accompanied by a discretionary fund for use in developing G-Unit projects in the future. “When I sat down with Chris [Albrecht, Starz CEO] and walked him through my plans for G-Unit Film & Television going forward, he let me know I was essentially requesting the biggest deal in premium cable history,” Jackson said. “I am excited to announce that we’ve made that partnership between myself, G-Unit Film & Television and Starz/Lionsgate and we will continue our proven track record of breaking records and delivering unique content for audiences around the world … Get The Strap,” said 50. 50 Cent and G-Unit already have two new projects in active development at Starz: the Big Meech inspired Black Mafia Family and Vanguard.